My family and I had a lifetime experience of beautiful sceneries, outdoor activities and much more. We went to a day tour at Villa Escudero Plantations and Resort in Quezon Province. I was amazed by the spectacular view around me! My family appreciated nature even more as the resort had so much to offer. 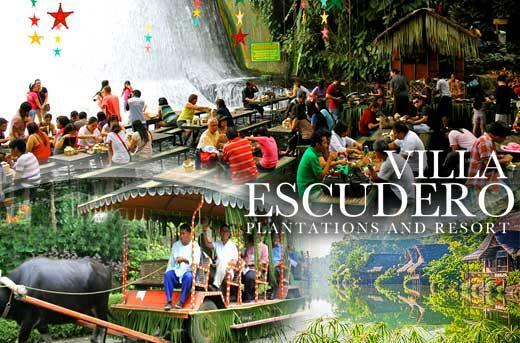 Villa Escudero had plantations, waterfalls, museums, and nipa huts. All the pictures we saw on Metrodeal came to life. It was mesmerizing! We had lunch by the waterfalls, enjoying a buffet of Filipino cuisines made with local ingredients. Our tummies were satisfied. Our lunch was what made the day tour worth it. Not only do we get to enjoy the food, but we got to appreciate the fresh breeze. It’s something you would never get to experience every day. The Metrodeal offer was a good grab. I would love to go back here and just relax, as well as enjoy the scenery and good food. Getting a massage is the greatest way to release tension and destress yourself. You come out feeling relaxed and refreshed, which is what everyone is after. With stress form work and daily traffic, sometimes a break from it all is what you need. So, the other day, I searched on Metrodeal to see if I could get a massage with a good offer. 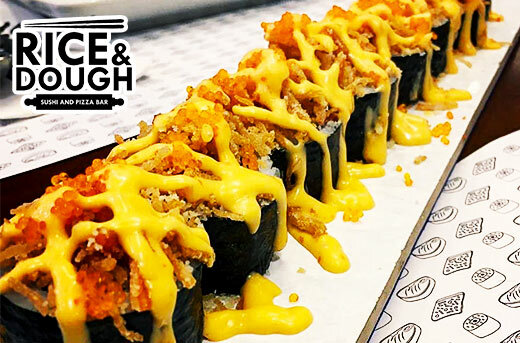 Thankfully, I found one in Quezon City near my place. I tried out the whole-body massage with bentosa, which was my first time. It was so relaxing that I fell asleep. It felt warm all over my body! In fact, I want to tell all of my friends about this, so that I can come back with them and try other services such as hot stone, dagdagay (foot massage), and more. They also serve Filipino coffee, and everyone knows me as a coffee addict. So, this was the cherry-on-top! As a full-time employee, a full-time mom, and a breadwinner of the family, I learned to appreciate the small things in life. I have discovered that there are many things that you can do. You can read a book, watch a movie, or try an activity. Every time I do this, I usually leave my kids with my family. Good thing, my family and friends have been amazing to me. They are always there whenever I need them. With so much going on, I try my best to take a break and breathe a little. I try to do this at least a few times a month, and I never have any regrets. I’m sure my kids understand and everyone else understands. So when I discovered an offer on MetroDeal for unlimited yoga, I availed it immediately as I heard a lot of benefits of doing such. Not only is it good for the mind, body, and soul, but it can also help in weight loss. 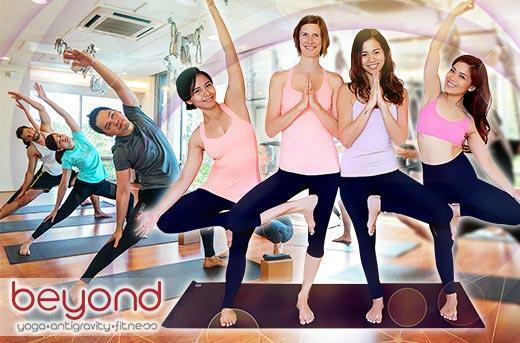 I went to Beyond Yoga’s branch in Quezon City, and I came out relaxed and refreshed, as if I had a massage! It was definitely everything I’ve imagined and more.